This weekend, Okamoto Kitchen will be headed to Anime LA in Ontario, California! As an anime food truck, we can’t help but resist the sweet stench of a gathering of sweaty anime fans. Though hopefully not sweaty as the con will be in February. If you’re an anime fan that’s been too afraid to go to a con, or just curious about anime in general, we’re here to offer a quick little guide to see if ALA is right for you! If you’ve never been to an anime con, they are typically multi day events over the course of a weekend. 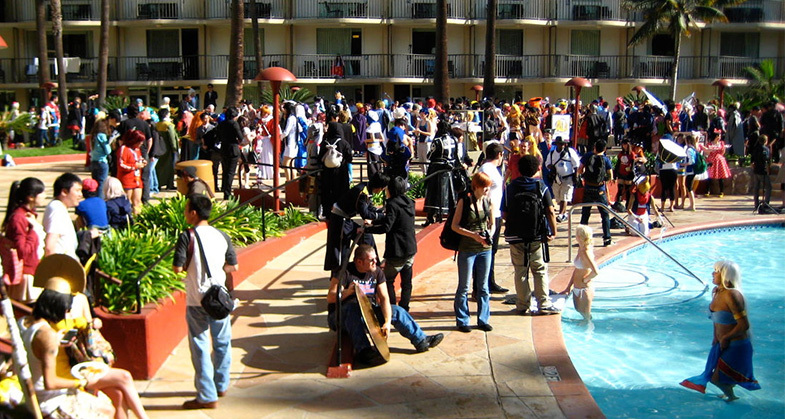 Anywhere from two to four days, fans gather together to indulge in all things anime. Cosplayers also gather to show off their costumes, meet other cosplayers, and participate in shoots together. There’s a dealer’s room for people can buy difficult to find items from small dealers and large companies alike. They also get the opportunity to meet voice actors, industry professionals, and musicians from anime. For some people, it’s just a way to meet up with far away friends. 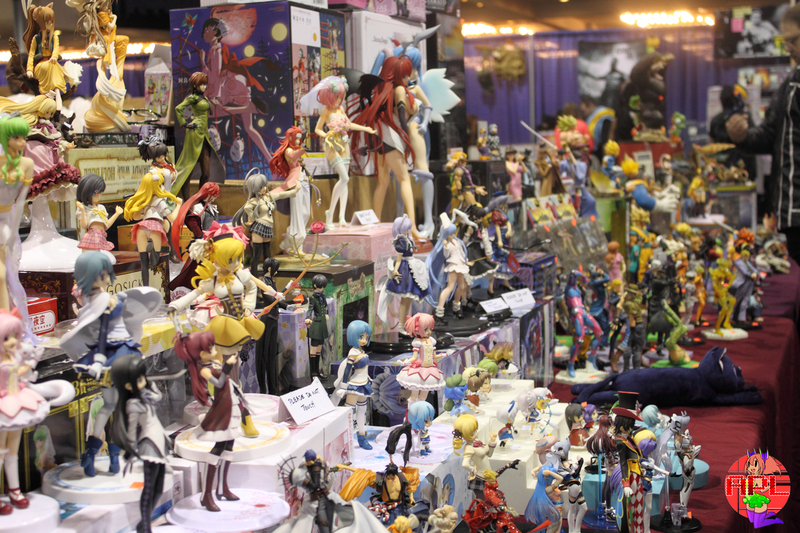 At a typical anime convention, expect to find rooms and rooms of anime fans and anime paraphernalia. Expect a lot of cosplayers to be there as well dressed up as all sorts of characters. More often than not, they’re open for a photograph so don’t be afraid to ask for one! There’s also plenty of panels running concurrently, from cosplay tutorials, to anime analysis, to Q&A with industry bigwigs. Another major draw is the dealer’s room with numerous vendors, from small shop owners to big companies, with plenty of goods for sales. Head to Artist’s Alley to see fanart and original art alike from amateur to professional artists. Depending on the scope of the convention, there’s sometimes live music from bands or DJS. There might also be plenty of themed cafes if you need a break from the crowds. There’s also sometimes a late night rave if you still have the energy at the end of the day to go. Another draw is the masquerade where cosplayers put on short skits about the character they’re cosplaying as. There’s definitely a lot to keep you occupied at an anime convention. This year, Anime LA will be running from January 27-29th, with the 26th being day zero, which is something similar to a soft open. Special guests notable voice actors as well as Hiroaki Inoue, one of the founders of Gainax. Gainax is a well known animation studio with famous animes like Neon Genesis Evangelion, Gurren Lagann, and FLCL. There will be plenty of dealers selling figures, manga, and fake swords, bands, and cosplayers. There’s panels for first time con goers and introductory courses to anime subcultures and heavy round table discussions for the truly nerdy. And once you’re hungry, there’s plenty of food trucks (like us) available! 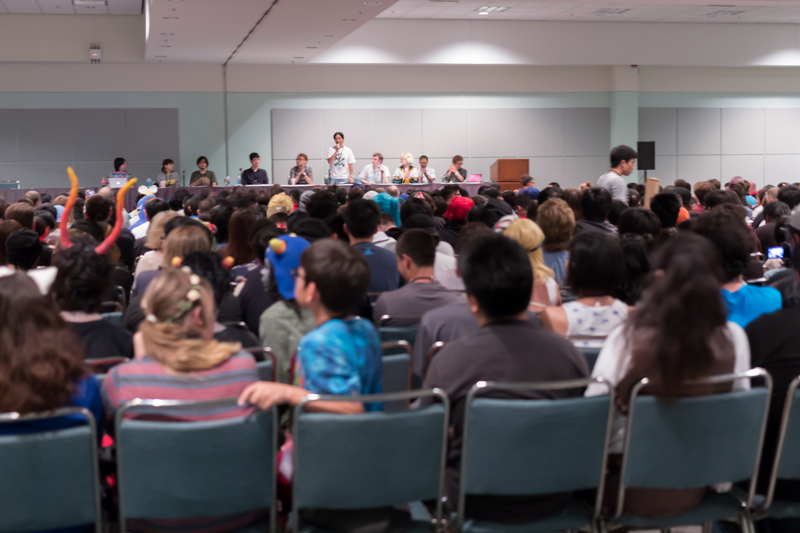 So if you’ve been to plenty of anime cons and just need another con to fill the gap until the next AX, or if you’ve never been or have a younger family member that’s interested, Anime LA might the place for you! You can purchase a weekend pass or a day pass on their site here.